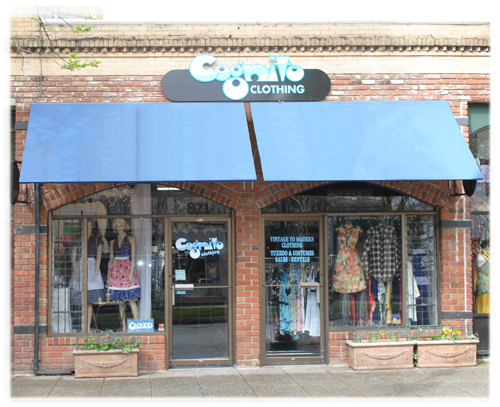 Established in 1982, Cognito offers a unique collection of clothing, costumes, wigs, and accessories of all kinds. 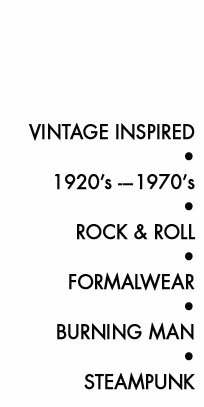 We have many styles from the mild to the wild & the adventurous to classic elegance. 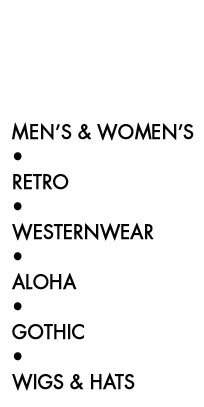 Menswear includes formal wear sales and rentals, gothic, renaissance, retro 1940's-1980's, rock-n-roll, rockabilly, & Hawaiian. Women can find the same as well as vintage originals and reproductions from all eras, wigs in many styles & colors, rhinestone jewelry & tiaras, and so much more. We hope to have something for everyone and with nearly 30 years of experience in costuming and vintage clothing, let us help you! Please call for seasonal hours.